This Slide rail is made to the high standards that Ultra delivers in all its products. The traditional design is completed with a high quality, stunning chrome finish and provides a flexible showering solution for all users Tall or small. 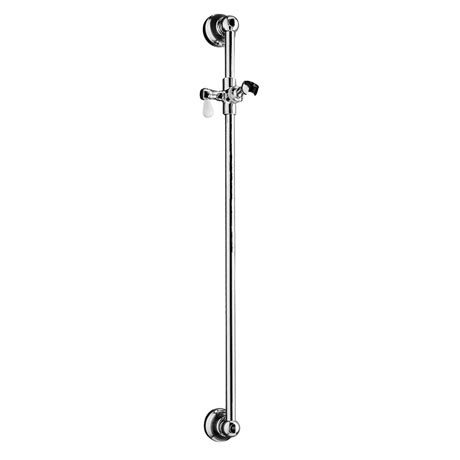 This traditional shower rail allows you to customise your shower rail with a handset of your choice. Comes complete and ready to install . Q. We have a traditional showerhand set but don't know the maker or spec. Could you provide more detailed information on dimention etc. on this product so that we can figure out if our showerhand set fits this holder.